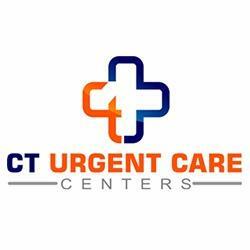 Connecticut Urgent Care Centers are founded to provide Connecticut families and individuals with the highest quality of health care in an efficient and nurturing environment. Whether you and your family are looking to drop in for a simple flu shot, vaccination or sports physical, or any non-emergency healthcare need that requires immediate attention, your answer is Connecticut Urgent Care. Just visit us to avoid all the hassle and expense of going to the emergency room or having to wait until your primary care physician is available to see you. Connecticut Urgent Care Centers offer efficient and compassionate treatment that saves you money as well as time. Visit our Services page for more information on some of the conditions we treat. We know that your time is valuable and understand that injuries and illnesses are never planned. At Connecticut Urgent Care Centers you don’t ever need to have an appointment, and we offer extended hours for your convenience. The comprehensive care we offer to you include common prescription medications, state-of-the-art X-ray services, and an on-site laboratory. These services will help to save trips to visit other medical providers and the pharmacy.